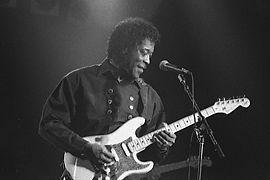 Although Buddy Guy’s music is often labeled Chicago blues, his style is unique as it often moves towards jazz and hard rock. Mr. Guy, 68, mingles anarchy, virtuosity, deep blues and hammy shtick in ways that keep all eyes on him… [Guy] loves extremes: sudden drops from loud to soft, or a sweet, sustained guitar solo followed by a jolt of speed, or a high, imploring vocal cut off with a rasp…Whether he’s singing with gentle menace or bending new curves into a blue note, he is a master of tension and release, and his every wayward impulse was riveting. Compare the electric with an acoustic version of Hoochie Coochie Man….. Although I have a penchant for early acoustic blues recordings, Chicago blues, with the likes of Muddy Waters and Little Walter, can also thrill. Do you agree with the ’10 essential albums’ listed below? Blues music may have been forged in the Mississippi Delta, but Chicago is where the music put on a shirt and tie, subsequently achieving commercial respectability. 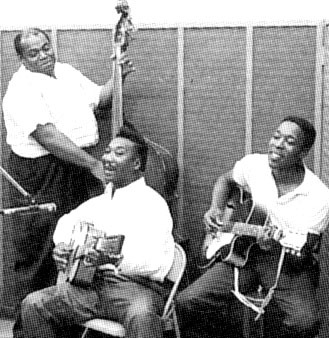 The period between 1950 and 1970 was the prime era for Chicago blues music, when giants like Muddy Waters, Howlin’ Wolf, and Junior Wells ruled the roost. Although the music slumped somewhat during the late-1960s, it remains a strong presence today. If you’re looking to start a blues collection, these are the ten Chicago blues albums to begin with…an instant record collection! The greatest Chicago blues album ever recorded was made in Rhode Island and not in the studios of Chess Records. 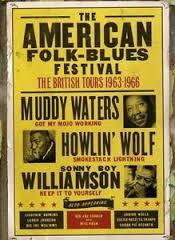 Muddy Waters’ explosive 1960 appearance at the Newport Folk Festival, backed by a band that included the talents of harp player James Cotton, guitarist Pat Hare, and pianist Otis Spann, put the Chicago blues on the map and helped bring an entirely new audience to the music. Wolf’s first album, Moanin’ In The Moonlight, was released in 1959 and gathers songs that he cut for Chess between 1951 and ’59, while the self-titled 1962 album (often known as “The Rocking Chair” album for its cover), featured songs recorded in 1961 and ’62. Put together on a single CD, the songs from Wolf’s first two albums represent some of the artist’s finest work. 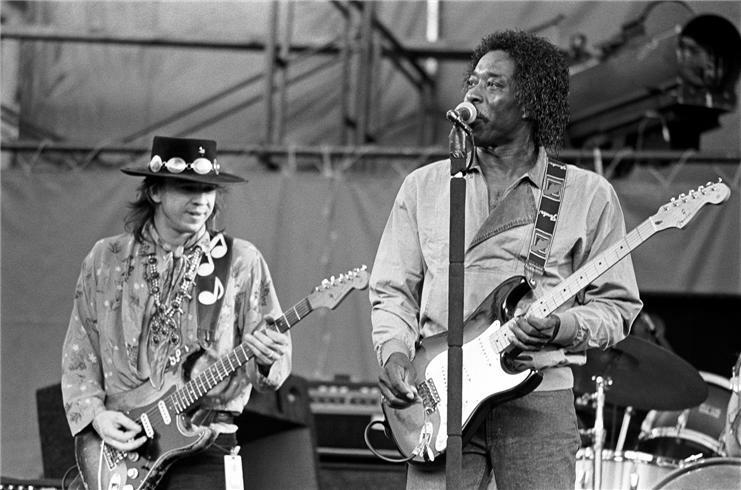 Backed by the talents of songwriter and studio bass player Willie Dixon and the phenomenal six-string talents of guitarists Hubert Sumlin and Jimmy Rogers, songs like “Wang Dang Doodle,” “Back Door Man,” “Spoonful,” and “Smokestack Lightning” have since become blues and blues-rock standards. The first true Chicago blues album cut in the studio (others were collections of singles or recorded live) was also Wells’ first full-fledged album, and the young harpist pulled out all the stops to make it rock. Hard. 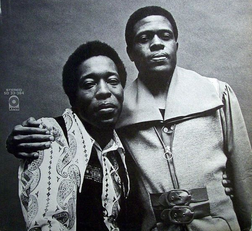 Backed by friend and musical foil Buddy Guy (the guitarist listed as “Friendly Chap” on the original vinyl due to contractual legalities), Wells attempted to capture the sound and feel of a performance at a West Side blues club. The general consensus is that Wells accomplished what he set out to do; the harpist would return to Delmark for the equally raucous South Side Blues Jam album in 1970. “Magic” Sam Maghett made his bones the only way a Chicago bluesman could – performing lengthy, exhausting sets in West Side blues clubs, often times playing a total of four or five hours a night. Frustrated by a recording career that was going nowhere, with a string of unsuccessful singles under his belt, Magic Sam went into the studio to record a full-fledged album. West Side Soul was the classic result, a perfect showcase for the blues artist’s soulful vocals and expressive, fluid guitarplay. 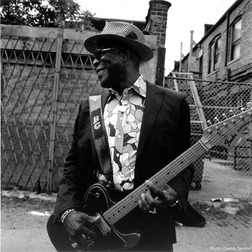 Tragically dying of a heart attack in 1969 while his fortunes were flying high, today Magic Sam is the third side of a West Side Chicago blues triangle that includes Otis Rush and Buddy Guy. Harp wizard Paul Butterfield’s racially-mixed band revolutionized the Chicago blues, popularizing the music with young rock fans and introducing the talents of guitarists Michael Bloomfield and Elvin Bishop to the world. This self-titled debut would mix inspired covers of classic Little Walter, Muddy Waters, and Elmore James songs (“I Got My Mojo Working,” “Blues With A Feeling,” “Shake Your Moneymaker”) with newer material, like Nick Gravenites’ “Born In Chicago,” infusing each performance with Butterfield’s soulful vocals and growling harp playing, incendiary guitarwork, and a rock-solid rhythm provided by Chicago blues veterans Jerome Arnold and Sam Lay. 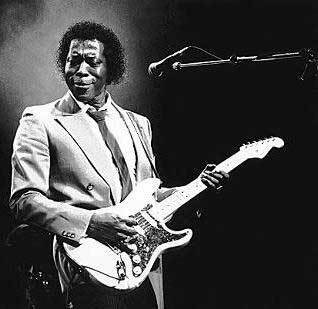 Blues guitar legend Buddy Guy recorded for Chess Records from 1960 to 1967, but it was primarily his role as a session player – adding his talents to recordings by artists like Muddy Waters and Koko Taylor – that the Chess Brothers were interested in exploiting. While Guy never had much chart success while at Chess, this collection of ten singles he recorded for the label during the 1960s perfectly frame Guy’s gospel-tinged vocal style and scorching fretwork. Guy would go on to bigger and better things, but this is where it all began…. Son Seals is anything but your stereotypical Chicago bluesman – his vocals are raw but potent, lacking the subtlety of a Muddy Waters, while Seals’ fractured, riff-driven guitar style contrasts sharply with the surgical precision of Magic Sam or Otis Rush. With a style distinctively his own, Seals helped usher in a second Chicago blues era, one with heavier rock & roll and lighter jazz influences. Although slicker and more polished than his self-titled 1973 debut, Midnight Son compliments Seals’ staggering guitar attack with blustery horns, effectively mixing old-school Chicago with the new generation of guitar-driven, houserockin’ blues music. 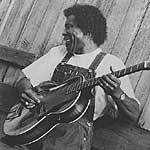 The former Muddy Waters sideman stepped out on his own in 1955 to pursue a solo career that, while short on commercial achievements, is every bit as influential as any Chicago bluesman, and displayed a longevity that stretched from the 1950s into the late-90s, halted only by Rogers’ death. Chicago Bound collects fourteen songs recorded during the early-50s by Rogers, showcasing the artist’s smooth vocals and inventive fretwork, accompanied by a veritable “who’s who” of Chicago blues, from Muddy Waters and Little Walter to Willie Dixon, Otis Spann and Big Walter Horton. An essential link in the Chicago blues story. “Little” Walter Jacobs was, undeniably, the major innovative force in blues harp, his talents effectively bridging the rural country-blues tradition of players like John Lee Sonny Boy Williamson and modern harp-blasters like Paul Butterfield and Charlie Musselwhite. Throughout the 1950s, Little Walter’s innovative and aggressive harp style helped define the sound of Chicago blues, and his talents are on full display with His Best, the album offering up 20 reasons why Little Walter is the most influential harp player in blues history. Is your favourite player/s listed above -if not who would you include? 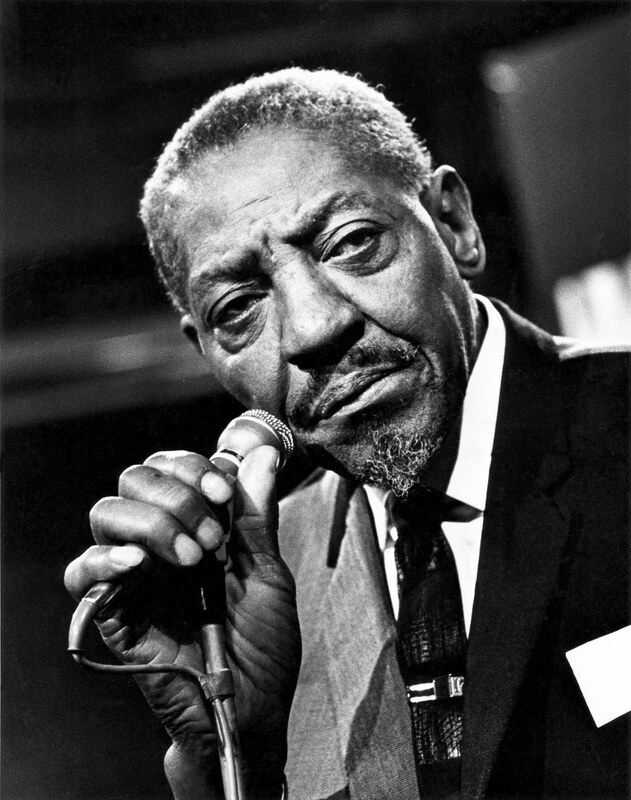 Rice Miller (Sonny Boy Williamson)?